Rising Damp is not the most common form of dampness found in buildings but is possibly the most discussed. 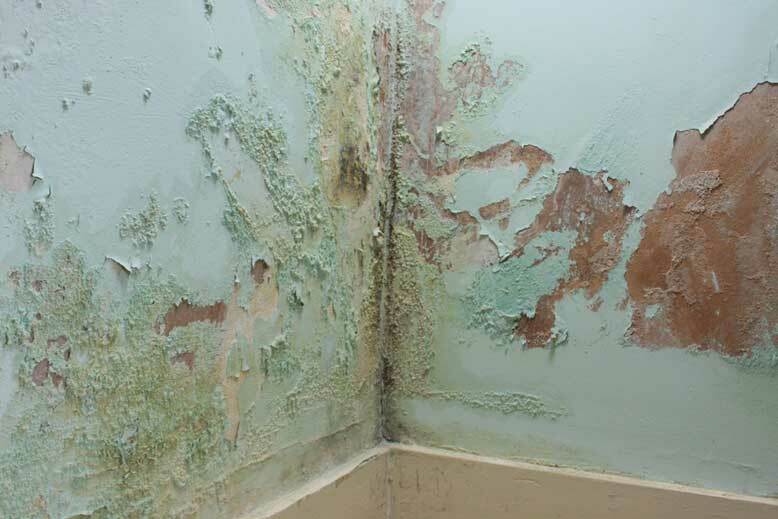 In modern days, Condensation is the most common form of dampness but positive identification and appropriate remedial action for both is essential. 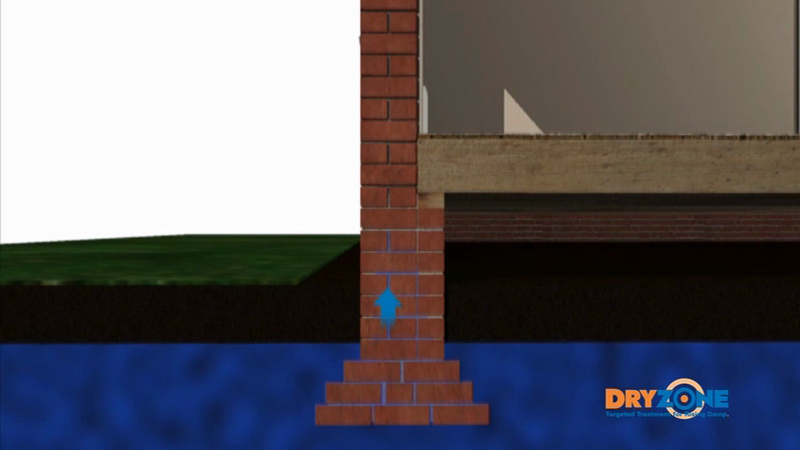 Rising damp in buildings may be defined as the vertical flow of water up through permeable wall structure, the water being derived from the ground. The water rises through the pores (capillaries) in the masonry. In other words, the masonry acts like a wick. Water rises up through the mortar beds and through the bricks. The mortar forms the only continuous pathway for water to rise up the wall. Even if a house is built from impervious bricks then water can still rise through the mortar beds, but if an impervious mortar is used then no water will rise, even if the bricks are very porous. It follows that the mortar beds are an important element in the chemical treatment for rising damp. Ground water contains small amounts of soluble salts including chlorides, nitrates and sulphates. These pass with the water in solution up the wall and are left behind when the water evaporates during drying. Over a period of time these salts accumulate and leave a ‘salt band’ towards the maximum height of the rising damp. Both chlorides and sulphates absorb moisture from the environment. In general the greater amount of salts the greater the absorption of moisture especially under humid conditions. Therefore even if the rising dampness has been controlled by the insertion of a damp proof course these salts alone can cause the wall and any contaminated decorations to remain damp. Mis diagnosis is common place so make sure that the problem is not due to leaking rainwater goods, faulty plumbing, high ground levels, plaster bridging an existing damp course or condensation. It is therefore always prudent to employ a professional damp-proofing surveyor who will identify the problem properly and eliminate unnecessary treatment for what may not be rising damp. 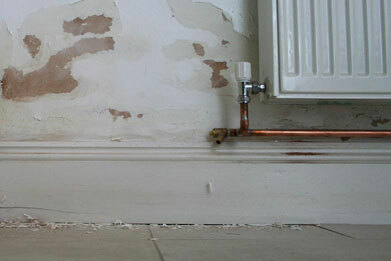 The treatment of rising damp will involve the insertion of a chemical damp proof course. Prior to this you will need to remove old contaminated plasterwork/decoration and skirting board to expose the brick/stone up to approximately one metre. The quickest and easiest method to treat rising damp is by injecting a silicone based cream such as Focus cream or Dryzone into the mortar joint. The chemical will seep into the mortar to form a damp proof course which will prevent water from rising through the capillaries of the mortar. Full instruction details for Focus Injection Cream and Dryzone can be found on the product page. Both of these products carry a BBA certificate. Complete the damp proof course by re-plastering with Renderpel (waterproof and salt inhibitor additive) in a sand and cement mix. Please note that Gypsum is not suitable to use following a damp proof course injection. We can provide other re-plastering specifications for use with sand, cement and lime for traditional plastering. Please use our contact form to request this information or other advice on rising damp.